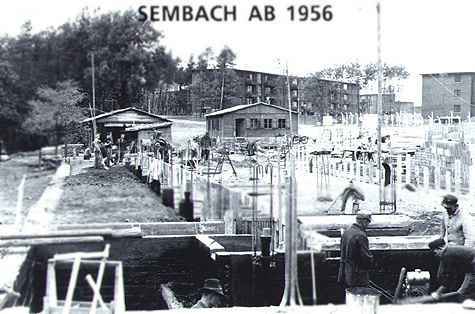 Sembach AB construction, Circa 1953-1956. Sembach commissary construction, former building 98 (demolished in 1997) with a view of buildings 93 and 94 as you enter the housing area. Original Photo provided by Mike Butrovich and Ron Ruiz..